Chicago Mayor Rahm Emanuel was in attendance at the event, and posted photos on Twitter. Tim Cook also praised the “creativity and passion” coming out of the event on social media, but did not attend in person. 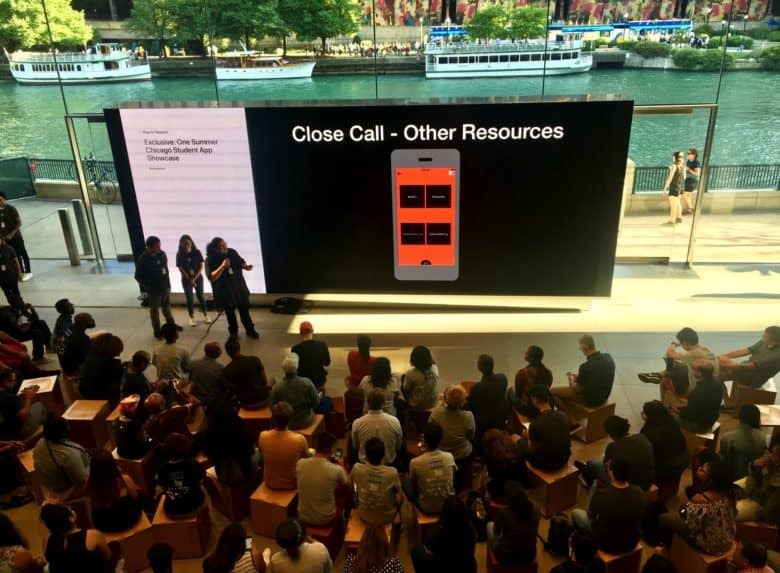 At the end of last year, Apple announced that it was working with the City of Chicago to greatly expand its “Everyone Can Code” program throughout the area. This included introducing it to 500,000 students in Chicago public schools and city colleges, starting spring 2018. Apple has continued to push its app economy as a public good, describing coding as a way for people to communicate with the world at large. It has also repeatedly discussed the amount of money and total number of jobs which have been created through its App Store. Not everything Apple does for the overall health of the app economy is quite so good, however. Recently the company announced that it is eliminating affiliate fees for websites that promote apps, thereby robbing people who evangelize the App Store of the tiny micro-payments they received.